Erich von Däniken is famous for his book Chariots of the Gods? which became an immediate bestseller in America, India, and Europe and was adapted into a film. 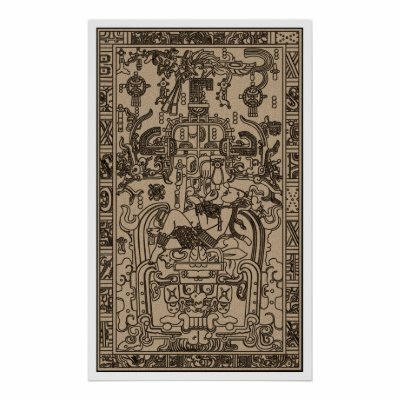 In this work Däniken takes material from ancient texts, and puts an extraterrestrial spin on it. In particular, Däniken spoke of the bible story of the ancient disaster of Sodom and Gomorrah, and spun a tale about the similarities between this disaster and the effects of an atomic bomb. Däniken carefully chose his words to make the bible story about gods and angels sound like hocus-pocus fantasy, while making his own theories derived from ‘clues’ sound scientific and informed. But are his theories real science, or just more fantasy couched in scientific language? Däniken is not the only person interested in finding modern explanations for biblical stories. I recently came across a Cracked.com article titled The 5 Most Extravagant Ways Cities Have Been Wiped Out, which gave another theory for what happened to Sodom and Gomorrah. Although this article attempted to strip scientific language from their article to make the story more accesible to the average layman, this does not necessarily mean that their explanation is any less scientific. It is not language that makes a theory scientific or not, but rather the process of arriving at and testing and verifying a theory makes makes it so. Looking again at Däniken’s theories, and taking what we learned about the scientific method in class, the science of his theories about alien astronauts seem suspect. For one, his theory is hard to test. Science has not yet been able to provide any concrete sign of extraterrestrial activity, but nor have they been able to prove that aliens haven’t visited the Earth. His theory that an advanced atomic bomb could have leveled Sodom and Gomorrah can be tested by looking for signs of radioactivity, but so far there is no supporting evidence. The Cracked article on the other hand, provides a theory that can be potentially tested for. The Cracked article relayed a theory proposed by scientists, that a massive, 3-mile wide meteor landed in the Austrian alps, which caused a fire storm of superheated air to spread to the Middle East, causing all flammables (such as hair and clothing) to combust. This theory is more easily tested than alien participation, and Cracked quoted an article, which quoted another source, relaying evidence for just such a meteor impact. Whether the sources are accurate or not, this theory remains readily tested for future scientists. Another problem with Däniken’s theories, is his lack of supporting evidence from reliable sources. Other than the bible and his own speculations, Däniken doesn’t mention any sources for his theories, nor any literature by other scientists to compare theories with regarding Sodom and Gomorrah. The Cracked article however, provides a wealth of links that readers can use to fact check. Looking solely at these two points, Cracked appears to be more scientifically engaged than does Erich von Däniken. Seeing is Believing: the philosophy of the Pseudo-ists. In a prior article I have written Real Archaeology, I have explained the high relevance of the popular quote, “A picture is worth a thousand words” in the world of archaeology. In this article, on the contrary, I will introduce a different cliched quote that tarnishes archaeology and strays afar from the worldliness and truth of what the words seemingly perpetuates. I will also stress the importance of observation and objectivity, when theorizing about the universe we live in. If the idea of Big Foot never existed, would any ever claim to have seen big foot at all and instead just shrug it off as just a giant bear? “Seeing is believing” is a popular idiom that many of us preferably choose to follow when it comes to challenging our own skepticism. But how much trust and faith are we willing to put into the so-called “physical concrete evidence?” We must ask ourselves these questions first: how true is our perception? Do we see everything around us? Or do we only see the things we want to see? Kenneth Feder discredits this idiom by revealing the truth of the human form– that “people are poor observers”– in his book Frauds, Myths, and Mysteries (Feder 21). How much of what we see are actually from objectivity? Especially when it comes to interpreting artifacts made by the human past, how can we ever know what the original intentions of the artist were? Our preconceived ideas of today’s world already puts us at a disadvantage when it comes to relying on merely “seeing” to believe. Take this FedEx logo for example, what do you see? Now look carefully, do you see the Arrow between the E and the X? From my personal experiences in a day as an archaeologist, I’ve come to a conclusion that observation of what is needed comes naturally when the problem or the hypotheses that are being tested are in mind. As the team of five Vassarians ventured through the woods of the outskirts of Wappinger falls in hopes of discovering the last few remains of Olson Fowler’s long lost Octagon house, we have discovered long parallel stone walls throughout the area leading towards the supposed location of the house along Route 9. At first, the map showed nothing but green, but as we matched up the locations of these stone walls with the map, hints of darkened parallel lines were visible on the aerial map of the area. Evidence of roads were on the map all along! Now that we knew what we need, we were able to perceive things differently. How we view things shift drastically according to our needs and wants. As Albert Einstein would put it, “No problem can be solved from the same level of consciousness that created it.” We need to completely be devoid of any prior personal biases when it comes to scientific and archaeological exploration. We must be ready to reject our own opinions and beliefs for the sake of discovering the raw truths of the universe. Caption below the display: "Because of their unusual shapes these flints are called 'eccentrics.' Although they appear to be stone tools, archaeologist have found collections of them in Maya tombs, suggesting they were offerings. We don't know what the 'eccentric' flints depict, but their unusual shapes spark the imagination." Over fall break, I had the opportunity to visit the Field Museum of Natural History in Chicago. The museum boasts an astounding number of artifacts and many detailed exhibits, including an exhibit focused on past cultures that resided in the Americas. In a darkly lit room on Mayan culture, next to some ominous looking sacrificial “blood urns”, I noticed some oddly shaped objects labeled “eccentric” flints. The description explained that they were at first believed to be stone tools but because of the context in which they were found (tombs), they were deduced to be burial offerings. The archaeologists studying these flints used the “convergence of evidence” (Feder 40) to identify the purpose of these tools. I also noted that the write-up below the display admitted that the archaeologists do not know what the stones depict, but that “their unusual shapes spark the imagination”. 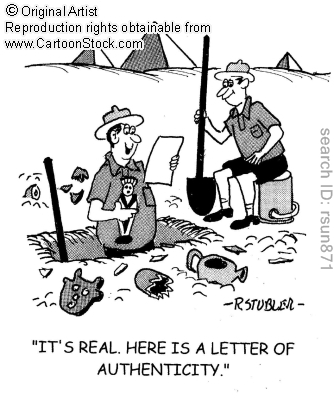 Many pseudoarchaeologists take this idea to an extreme. Take for example, Erich von Daniken, the author of the book and film Chariots of the Gods? Unsolved Mysteries of the Past. In his film, he makes the extreme claim that aliens visited past civilizations and provided them with many advanced technologies. 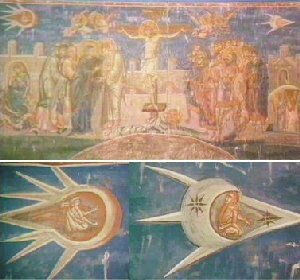 Much of the evidence that Daniken provided were examples of artwork that he believed depicted aliens or that a particular temple or building simply looked like modern rockets, spaceships, or spacemen. Daniken provides known facts about the civilizations to convince the viewer of his knowledge and then share his completely out of the blue opinion that aliens contacted them in the past. I say opinion and not fact because Daniken does not use science or archaeology to test his hypothesis that aliens visited the ancient civilizations. If he had been addressing his hypothesis from a scientific stance, he would be sharing facts he discovered that were directly in support of his claims, because the purpose of collecting facts are to “explain something or test a hypothesis” (Feder 29). Instead, Daniken shares unrelated facts (an example of pseudoscience) to fool the viewer into believing what his is saying is fact, ignoring the truth and substituting his own. If the viewer were paying any attention at all to the film, they would quickly realized that he shares no concrete evidence at all. His methods of research is like cloud watching. I may look up and see a cat. You may look up at the same cloud and see a bird. Since their is no evidence that it is not a cat and is in fact a bird, I can still say that I see a cat because there is nothing to prove me wrong. If Daniken were to observe the “eccentrics”, he may interpret them as a representation of alien figures, even if there is no evidence to support him. But science knows not to jump to conclusions without evidence, even if that means leaving something unresolved. This doesn’t mean the truth will forever be unknown- it has just not been discovered yet. In 1968, Erich von Däniken published “Chariots of the Gods? Unsolved Mysteries of the Past” that hypothesized that ancient alien visited earth and taught humans advanced technologies and ancient religions. The book immediately became a best seller and to this day continues to sell in volume. Erich von Däniken’s theories and ideas have continued to be analyzed and examined. 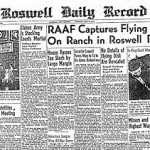 With the help of social media and the fascination for the unknown, the idea of alien-human interaction was thrust into the spotlight during the 1950s. 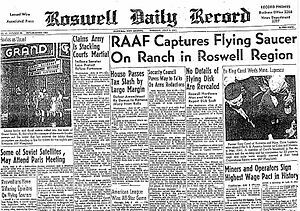 Moreover, alien sightings at Roswell, New Mexico and popular films like 2001: A Space Odyssey and Close Encounters of the Third Kind have further heightened the public’s curiosity. The popular history channel show Ancient Aliens, builds upon Erich von Däniken theology by collecting evidence to support and enhance current views on ancient aliens. The show tries to prove the validity of ancient aliens by examining ancient religious texts in which humans interact with individuals that descend from the sky. These texts often describe a means of transportation that resembles a spaceship flying. 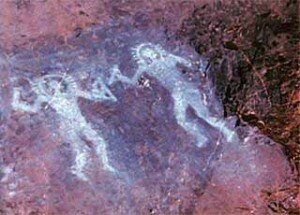 Moreover, the show examines ancient artwork that depicts alien-like figures that lead to conclusions that alien life forms must have visited earth. Furthermore, in class we watched the documentary based on the book by Erich von Däniken that used similar techniques to prove the existence of ancient aliens. Both the documentary and the popular show make alien claims about archaeological sites around the world. A recent article in Wired magazine tries to explain that humans did in fact have the ability to transport the statues by ‘walking’ them in place. 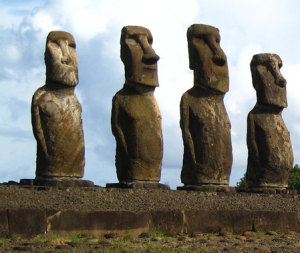 Carl Lipo from California State University demonstrated that three teams of workers can ‘walk’ a replica statue down a path similar to one on Easter Island. Moreover, this research study was published in the Journal of Archaeological Science. Compared to Erich von Däniken and the show Ancient Aliens, Carl Lipo and his team were able to use the scientific method as well as scholarly research to make a scientific theory on the island statues. By using methods of real science and archaeology, more accurate information was gathered and tested. Ancient Egypt—Discovered Remains In an Art Museum? Growing up in New York City, I always ran. 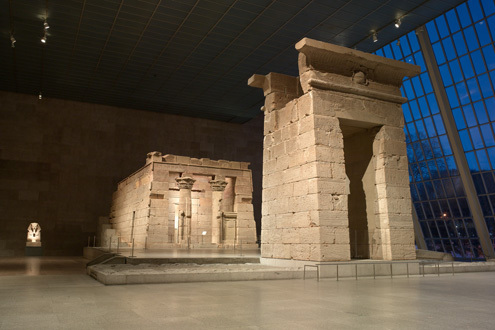 Several times a week on my runs, I would pass the Metropolitan Museum of Art (MET) and look into the giant glass windows that enclosed an ancient Egyptian world packed with tourists. 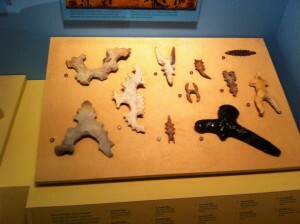 As a naïve child that had not visited the exhibit, I assumed that it was filled with treasures and mummies. I was wrong; the Egyptian Art Wing at the MET consists of 26,000 objects arranged in chronological order. Who analyzed these objects, and with what knowledge did they do so? Why does the MET have an Egyptian exhibit if it is an art museum? Egyptologists I have learned, not archaeologists, analyzed these objects. Egyptologists do not need their Masters in anthropology, but can have other Masters, such as a Masters in Fine Arts. In the U.S., archaeology is a subdiscipline of anthropology (“the comprehensive study of human species from biological, social, and cultural perspectives using both synchronic and diachronic views”) (Ashmore 4). According to Ashmore an archaeologist is “a professional scholar who studies the human past through its physical remains” (Ashmore 4). In comparison, an Egyptologist, according to the University of Chicago, is an individual “whose regular work involves the history, archaeology, language or culture of ancient (pre-Islamic) Egypt”. The average person does not understand Egyptology or archaeology. When I asked random Vassar students what Egyptologists and archaeologists do, they had similar responses–looking in the field for mummies, looking for treasures (which are the objectives of looters), “digging up stuff” and “dusting off bones”. In reality, an Egyptologist needs to be a “student of language” who analyzes hieroglyphics and artifacts to understand the past. This is contrary to archaeologists who use physical remains as well as diverse and complex methods to understand the past and humanity. Without an education in Egyptology or archaeology, a false understanding is derived from television, movies, and other media. Egyptologists and archaeologists are made to seem like adventurers to capture the attention of the public. So why did the Egyptologists put these objects in the MET? They did so because Egyptian remains are the basis of Western Art. Europeans view Egypt as part of their ancestry, and we, as Americans, view Europe as part of our ancestry. As Americans we are learning about our heritage by studying Egyptian art. In addition, we have the ability to study a wide variety of ancient Egyptian art, allowing us to better understand our past. While much of Native American art may have decomposed because of moist environments, Egypt is arid and preserves the past well. The Egyptian collection, therefore, should be in the MET. There are many unsolved archaeological and historical mysteries such as who created the mysterious monument of Stonehenge and why? And, how were the Great Pyramids in Egypt constructed? According to one television series on the History Channel the answer is simple: aliens. Yes, aliens. The commentators on the show Ancient Aliens propose that most of the unsolved archaeological mysteries can be explained by extraterrestrial beings who visited ancient civilizations and gave them technology and knowledge. Once you get past the dramatic editing, special effects and dramatic music, an individual who is not familiar with “real” archaeological research and analysis may actually begin to believe what the show is trying to convince you of. The first case that the show presents is the Saqqara Bird (a small wooden bird that was recovered during the excavation of the tomb of the ancient Egyptian official Pa-di-Imen in 1898). An author and an engineer then explain to viewers the interesting physical properties of the bird (wings that look like aircraft wings, a tail that appears to be a rudder). These observations, along with the fact that it was found lying next to a papyrus with the inscription “I want to fly” lead them to believe that the bird is most likely a model for an aircraft. So far, taking into account that they have not explained all of the information known in relation to the artifact, the interpretations don’t seem too extreme: they are presenting a hypothesis based on observations of the artifact’s characteristics and its provenience as well as specific prior knowledge. But hypotheses cannot be held up without evidence, therefore, a larger scale model of the bird was built and tested to see if it would be able to fly. Quick shots of the experiments were shown to the viewer without any explanation of what was happening or why, and then we were told that the results clearly show that the bird is a model of a “highly developed glider”. We, apparently, use that same design today, but our gliders are launched with a bungee cord system. If this is indeed what the Saqqara Bird is, how did the Egyptians come up with such an advanced technology? The answer, according to Ancient Aliens, is obvious: aliens. They jump to this absurd conclusion abruptly, without any supporting evidence. They omit and misrepresent facts and disregard much of the previous information known about ancient cultures. Their only claim to truth is that there is no proof to disprove them. They are doing what many people believe real archeologists do: making up information about past cultures and people. When real archeologists present a hypothesis or theory, they conduct an interpretive process that is based primarily on the gathering of information. Most non-archaeologists do not have the understanding of anthropological or archaeological theory to understand this process (Beisaw). They think archaeologists are creating stories about the past without proof when they are in fact undergoing a thorough scientific process to reach their conclusions. The most common theoretical approach to archaeology is the culture history approach. This approach is a way of reconstructing the past using a normative model of culture. Each culture has a set of rules or norms that govern the society and are passed from one generation to the next (Ashmore 40). If this theory is applied to the Saqqara Bird, a trained archaeologist might conclude that the bird was perhaps a ceremonial or burial item based on the provenience and the previous known fact that falcons were a highly valued bird in Egyptian culture. The slight style variations that the show explains to be unique features could be attributed to the degrees of change (idiosyncratic behavior, aka, the choice of the artists) within the normative system (Ashmore 40). Only if enough evidence and support through the careful assimilation of data would the archaeologist hypothesizes the potential meaning of the bird. If there is no evidence to support the claim, the archaeologist may search for new interpretation. Ancient Aliens does the opposite and creates false evidence to support a hypothesis. This pseudo archaeological approach involving the misuse and omission of facts used in Ancient Aliens is a gross misrepresentation of how archaeologists analyze the past and also an insult to our ancestors. I’ve never lived in a house that my family has owned, my entire life we’ve rented our home for whatever tenure of time we were spending there. Before us another family had lived there, and after we left somebody else would move in. But for the period of time that I lived there it was my home and I felt ownership of it. For this reason I take personal issue with a focus in personal culture and history of possession being determined by ‘firsts.’ Who first lived in the house? Who built it? Bought the land that it was on? Popular culture has a misunderstanding of archaeology that whatever is older must be more important. This misconception can have drastic implications. As we read last week in Ayodhya, Archaeology, and Identity, arguments over primary ownership of land can erupt centuries later, creating violence and heated debate. When the investigation of the Babri Mosque destruction was undertaken there was a large dependence on archaeologists to provide information concerning the original use of the land and the possibility that an important Hindu temple had once stood there. Attempts to condone the violence committed in 1992 by reference to past wrongdoings or disputed entitlement to the land does not excuse modern acts of terrorism. This demonstrates the danger of relying on past ownership. People develop strong emotional connections and cultural identity through history. This reliance on history can help inform modern life, but it can also be used as justification for modern wrongdoing. Therefore the understanding that primary possession is chief cannot only be misleading but also dangerous. If an archaeologist is not frantically digging in Rome or Egypt attempting to find the first ever toothbrush do they not have any value to modern man? Store Catalog from 1902. The earliest description of a toothbrush has actually been found in China, dating back to 1600 B.C. An emphasis on the original can be useful, knowing when a technology first came into use or the development of an object can reveal a lot about post-processual archaeology, investigations into the social classes and roles of individuals in a society. But the implication that if an artifact is not the oldest of its kind or at least from an ancient civilization ignores the significance of countless archaeological discoveries. Archaeology is not, as depicted in the media concentrated on finding the oldest artifacts possible, a single ancient object will not provide the context of an entire civilization and population that existed there previously. Opposed to the depicted treasure hunt, archaeology is more of a puzzle, piecing together the lives of previous societies and carefully documenting and learning from them. Why does society have the impression that if something is older or original it must have a greater value? In some cultures there is an automatic assumption that age signifies wisdom. Asian cultures give a great reverence to their elders on the basis that their age demonstrates a greater wealth of life experiences. Their importance comes not from mere antiquity, but cumulated knowledge. In Western culture there appears to be an enthrallment with things of great age, evidence that humanity extended through eons, an almost egotistical claim to ancient ancestors. Regardless of where the fascination with originality and age stems from, it can damage understanding of the science of archaeology and how archaeological analogy is constructed. So many people are focused on the here and now. Our society is fast-paced and everyone lives for the present. However, history repeats itself. Everyone knows the cliché, yet few people actually take what it implies to heart. Even when people take the time to realize the relevance and impact of the past, very often they do not fully appreciate the extent that the past has to do with each and every day. Berneck and Polluck’s article states that the “relevance of the past…is evident in many facets of daily life”. Very few people realize the truth of this statement. Down to the very structure of our society, the past has influenced our lives. As cultures have evolved and adapted, their habits and ways of life have transcended generations. Without the innovations of agriculture, who knows how long we’d have been hunting for food. Ancient civilizations established governments. Without governments, our world would be in chaos. History and the past have shaped our present and future. Now, it is the job of archaeologists to interpret the past so we can better understand out future. Many people do not understand this part of archaeologists’ jobs. The reason behind most ignorance, I feel, is that the do not want to believe that there is more to an archaeologist’s job than adventures and digs. There is glamour and razzle-dazzle in the concept of exotic adventures and getting down and dirty in digs. The blind romance is more appealing. Furthermore, people do not understand the processes used to archaeologists to deduce information about the people and societies of the past. Culture History, Processual, and Post- Processual archaeology are obscure concepts that not many people pay any mind to when they attempt to understand archaeology. The general public finds many hypotheses made by archaeologists to be mere guesses not based on historical or scientific information. I do feel that most people relate Culture History to archaeology, but do not realize where the information is actually coming from. Very few realize the science that goes into archaeology. The technology present at sites and in the labs is extensive and high quality. The instruments are precise and used for legitimate reasons in determining facts about artifacts and features found at sites. The concept of curses and black magic is much more associated with archaeology than science. Pop culture certainly does not aid archaeology’s reputation, and the lies start early. In the children’s show The Suite Life on Deck, archaeology takes on its usual mask of guts and glory of gold objects in the jungle. The kids at the school go on “archaeological expedition” into the jungle to find a crown and ancient, royal tomb. 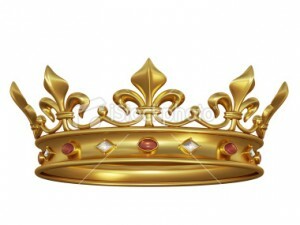 The crown is taken from the tomb, and therefore loses the contextual significance that it would hold. This is never addressed though, and kids start learning early that what you can learn from artifacts is so much more important that finding something gold. The unwillingness to separate from the mysterious and exciting world of adventures and journeys is what is holding back the public from understanding and truly appreciating archaeology for the art and science that is really is. What’s Done Is Done…Or Is It? A recent influx of embracing the present and future has overshadowed any appreciation we have for our pasts. 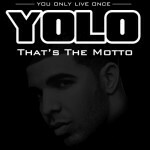 As human beings living in the 21st century, we are bombarded with urges to “live in the moment” and “seize the day”. We have become obsessed with knowledge about the end of the world (such as 2012…which is rapidly approaching!). 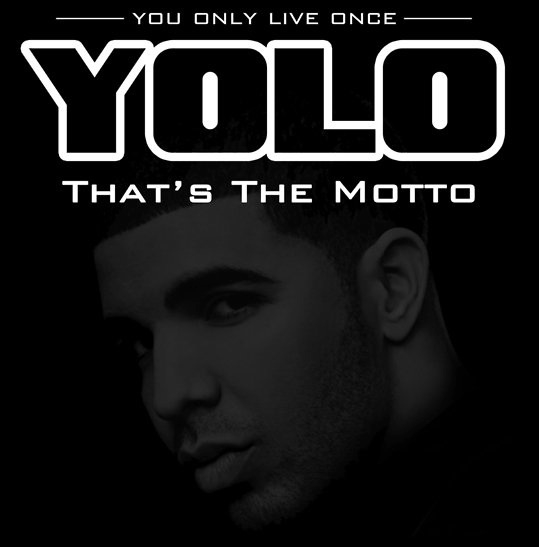 Even popular media figures have enlightened us with quotes to live by, such as Drake’s famously rapped motto “YOLO – You Only Live Once”. This disconnection doesn’t seem to be purposeful, but merely a result of technological advances (everybody impatiently awaiting the newest iPhone model) and the fact that human beings are currently in a constant forward plow towards an obscure future (going to college in order to get into graduate school in order to get a job in order to raise a family, etc). However, as Professor Beisaw made us all aware of in class on Thursday, the past is interwoven into every single facet of our daily lives. Although we tend to neglect this fact, we aren’t entirely oblivious to the past – but we only use it when it is convenient (to describe the unique nationality you inherited from your father’s uncle’s mother’s Portuguese brother). We ignore it when it is hurtful (losing a war) or shameful (slavery in colonial America). As inferred in Bernbeck and Pollock’s article “Ayodhya, Archaeology, and Identity”, human beings manipulate the past, and therefore archaeology, so that it becomes a glamorized version that we can be proud of. This is displayed through ascending and descending anachronisms. An ascending anachronism attempts to push a past event farther back in time so that it appears to be more distant, while a descending anachronism brings events closer to the present. By ascending events that are dishonorable and descending events that are more respectable, people take control of their histories and create a version to fit their desires. This is where the public misunderstands archaeology – archaeology provides the facts of the past, but these facts are misconstrued by public manipulations. Mythical history “stresses continuity of past and present” (Bernbeck and Pollock 140), and many political issues today are based on this manipulation. For example, the current battle between the Hindus and Muslims in India displays how “bringing the past very near to the present helps to legitimate revenge for past injuries” (Bernbeck and Pollock 140). This is just one example of how issues based far in the past are manipulated by present day humans in order to solve ancient quarrels that probably don’t even matter in the slightest bit. This just proves to show how archaeology is relevant to EVERYTHING. Archaeology is the analysis of our pasts but places so much emphasis on the bigger picture, and therefore has so much substantial influence in our present and our futures. People misunderstand this aspect of archaeology because of our manipulation of the past, as well as our inherent obsession with living in the now and embracing our futures. The truth is, the past is what makes us who we are and what gives us a sense of identity. The present and future are nothing without the past, and to say “what’s done is done” is ignorant. That present and future are nothing without the influence of the past – and that’s where archaeology comes in – it is the vehicle through which the past is revealed and interwoven into our lives.